“Unwritten Names,” veers this way and that, slowly moving with the time and pace. “Strange Patterns,” contains an element of darkness, which slowly builds into a grand crescendo. “Of Storm and Stars,” roars into light with energy and grace. “Regret,” another song that takes a turn with one sharp cheek and then another. “Dreaming Beneath,” is a furious collection of melodies and work. “Departures and Arrivals,” takes a turn here and there and makes sure that the listener is fully engaged. “Blame,” is a light breather. “Tuhat Ketraa,” is a pounding monster. 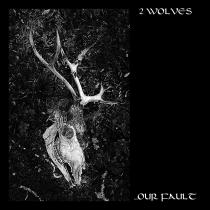 “The Fault Is Ours,” is a snarling beast of a song that veers this way and that. The album is out on April 12th via Inverse Records.